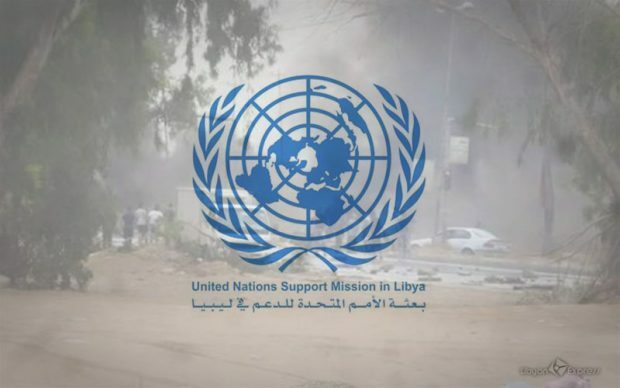 The United Nations Support Mission in Libya (UNSMIL) has issued a statement reminding all Libyan parties of their obligations to guarantee the protection of civilians and the country’s resources – which belong to all Libyans – by avoiding targeting economic facilities and putting civilians in harm’s way, under any pretext. “UNSMIL reiterates the need for all parties to abide by international humanitarian law.” The statement said on Sunday. This came after the Libyan Air Force of east-based Khalifa Haftar’s self-styled army carried Saturday afternoon an airstrike on the runway of El Feel oilfield in southwestern Libya, nearly hitting an oil company plane that was transferring employees and staffers to Tripoli. In this context, the UNSMIL reiterated the need to limit all military operations in the Libyan south to the fight against terrorism and organised crime. The UNSMIL failed to acknowledged the obvious fact that the attack on the runway of El Feel was carried out by warplanes under the command of Khalifa Haftar. On the other hand, the Presidential Council of Libya’s Government of National Accord (GNA) condemned the attack and rendered it as terrorist act and a crime against humanity.